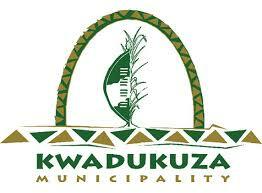 The KwaDukuza Municipality invites tenders for the above. Only Tenderers who are registered with CIDB in a Contractor grading of 5 EP or higher and emerging contractors with grading 4 EP PE or higher will be eligible to tender. Tenderers will have proof of CIDB Registration by closing date failing which the tender will be disqualified. Tenderers shall be registered on National Treasury’s Central Supplier Database. The physical address for collection of tender documents is: KwaDukuza Municipality, Electrical Engineering Services, Office No. 21, 2 Industrial Crescent, KwaDukuza, upon presentation of a receipt proving prior payment of a non-refundable fee of R575.00 (inclusive of VAT), having been made at the Municipal Finance Directorate, General Justice Mpanza Building, 104 Mahatma Gandhi Street, KwaDukuza (Cash or bank guaranteed cheques only). Tender documents will be available from 09:00 on 20 march 2019 until 15:00 on 03 April 2019. A compulsory clarification meeting, with representatives of the Employer, will take place at the KwaDukuza Municipality, PMU Building, 2 Industrial Crescent, KwaDukuza on 4 April 2019 starting at 10h00. Failure to attend the compulsory clarification meeting will disqualify the tender. Doors to the venue will be closed at 10:00 and the briefing will commence immediately. Late attendance will not be accepted and Contractors will not be admitted into the venue. Only those Tenderers who are in possession of a tender document shall be permitted to participate in discussion at the compulsory clarification meeting. Tenders shall be placed in sealed envelopes, endorsed with TENDER NO. MN 192/2018 – SUPPLY, INSTALL AND COMMISSION NEW LED STREETLIGHTS 2018/2019 and be placed in the Tender Box at the Municipal Offices, 14 Chief Albert Luthuli Street, KwaDukuza, not later than 12:00 on 12 April 2019 at which time the tenders will be opened in public. Tenders are to be submitted on the tender documentation provided by the Municipality. Late, electronic or faxed tenders will not be accepted. Tenders will be evaluated and adjudicated according to the following criteria: • 80/20 preference points system will apply in terms of the Preferential Procurement Regulations, 2017 (B-BBEE Status Level of Contribution – an original or certified copy of the certificate is required) • Council’s Supply Chain Management Policy • Contractor shall be registered on the National Treasury’s Central Supplier Database • Contractor having a CIDB grading of 5 EP or higher, and emerging contractors with a grading of 4 EP PE or higher • Contractor shall provide the Municipality with a compliance clearance PIN to verify your tax compliance status • Certificate of Attendance at the clarification meeting • The employment of local labour shall be sourced within the wards of the KwaDukuza Municipality in terms of EPWP • Prices tendered must be firm and inclusive of VAT • Original Bank Rating Letter from A Registered Financial Institution for tenders exceeding R4M • Letter of intent for performance guarantee must be submitted• Compliance with the Technical specification • Schedule A: Purchaser’s specific requirements Schedule B: Guarantees and technical particulars of equipment offered must be completed and submitted • NB: Bidders who are listed in the National Treasury register of defaulters and restricted suppliers will be automatically disqualified • A copy of the most recent municipal account (not older than 3 months) in which the business is registered. District municipality (water) and Local municipality (rates, electricity and other) or if the bidder is a tenant then a letter or certificate from the landlord indicating that the levies are not in arrears. Should the above not be applicable, the service provider shall submit an affidavit. All prospective tenderers will be screened in accordance with the National Treasury’s Defaulters Database. Council does not bind itself to accept the lowest tender or any tender and reserves the right to accept any part or the whole of any tender and preference will be given to Affirmable Business Enterprises. The Municipality also reserves the right to call on preferred bidders to form a joint venture with a BEE company. For all tenders awarded exceeding R4m, 45% must be sub-contracted to an EME or QSE which is at least 51% owned by black people who are women within KwaDukuza Municipality. Canvassing in any form in the gift of Council is strictly prohibited and will lead to the disqualification of the tender. No bids will be considered from persons in the services of any organ of state.